Last edited by T. A. Gardner; 16 Oct 18, 23:24. Mid war, the Avro Manchester and He177 were examples of how not to increase conventional piston engine power. "There is no substitute for cubic inches except cubic dollars". Both larger cubic capacity and more complexity were needed to produce ever higher power outputs from piston engines. "Hot Rodding" the Rolls Royce Merlin(and some other WW2 "Warbird" Aero Engines). It provides an insight into the extreme measures needed to coax "just that little bit more" out of the Merlin engine. Post war air races, such as at Reno, Nevada were the catalyst for such activities. It should be noted that such extreme measures, and the associated expense, both from boosting engine output and aerodynamic improvements to reduce drag, did not result in significant overall increases in performance, but did severely compromise engine reliability and aircraft safety. Only jet engines, from the time when the Merlin and other piston engines had reached the stage of diminishing returns, could provide meaningful improvements to aircraft combat performance. Last edited by At ease; 16 Oct 18, 21:58. Thanks At ease for the video. I would not argue with any of the points Mr. Brown brought up. Being that the OP was simply "What was the best aircraft engine of the war", I would say, at 150mph faster then anything else at the time, and as you have already stated, it achieved this without the complexities of a piston engine, the Jumo 004 is the clear winner. I think a new thread is needed titled "What was the best piston powered aircraft of the war." And add to that another thread "What was the best fighter aircraft of the war"
In the above 2 threads, candidates for best should be based on many overall parameters like how many theaters they were used in, performance in each theater, kill ratio's, altitudes in which they were effective, maneuverability, speed at various altitudes, climbing rate, dive rate (compression issues), armament, reliability, ease of maintenance, and any other important variables. By the way, Mr. Brown briefly mentioned the German pilot who accidently landed in England. To add to that the pilot was flying a Focke Wulf 190 (I forgot which variant). When an English gent jumped on the wing and pointed a gun at him the pilot tried to kill himself! Thanks At ease for the video. I would not argue with any of the points Mr. Brown brought up. It would have been a shame for ACG members to be denied being able to watch an item of such importance to aviation enthusiasts. Although, I need to point out that the speed differential was only claimed in the video to be 125mph.....not 150 as you have written above. In June 1942, Oberstleutnant Armin Faber was Gruppen-Adjutant to the commander of the III fighter Gruppe of Jagdgeschwader 2 (JG 2) based in Morlaix in Brittany. On 23 June, he was given special permission to fly a combat mission with 7th Staffel. The unit operated Focke-Wulf 190 fighters. The FW-190 had only recently arrived with front line units at this time and its superior performance had caused the Allies so many problems that they were considering mounting a commando raid on a French airfield to capture one for evaluation. Meanwhile, the disorientated Faber now mistook the Bristol Channel for the English Channel and flew north instead of south. Thinking South Wales was France, he turned towards the nearest airfield – RAF Pembrey. Observers on the ground could not believe their eyes as Faber waggled his wings in a victory celebration, lowered the Focke-Wulf’s undercarriage and landed. The Pembrey Duty Pilot, one Sergeant Jeffreys, grabbed a Very pistol and ran from the control tower and jumped onto the wing of Faber’s aircraft as it taxied in. 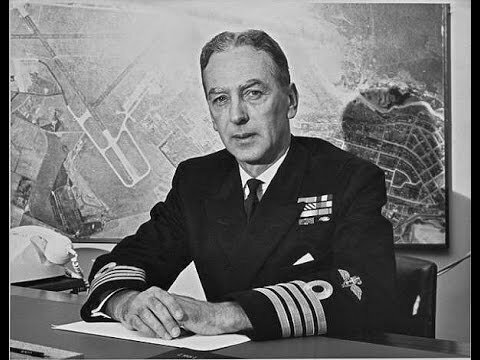 Faber was apprehended and later taken to RAF Fairwood Common by Group Captain David Atcherley (twin brother of Richard Atcherley) for interrogation. Armin Faber’s Focke-Wulf Fw 190A-3 of III/JG 2 at RAF Pembrey, June 1942. The pilot who was slated to lead the flying aspect of Operation Airthief was none other than Supermarine's chief test pilot of the Spitfire, Jeffrey Quill. His next door neighbour who apparently initiated the planning of the operation was trained commando Philip Pinckney. I understand that as a matter of great urgency and importance a specimen Focke Wulf 190 is required in this country. I attach a proposal for procuring one of these aircraft. ....I have the honour to request that this, my application to be allowed to undertake the operation described, may be forwarded as rapidly as possible through the correct channels to the Chief of Combined Operations I further propose that the pilot to accompany me should be Mr. Jeffery Quill who is a close friend of mine, and as a well known test pilot of fighter aircraft is well qualified to bring back the plane. He is also young, active, a yachtsman, and a man in every way suitable to carry out the preliminary approach by land and sea. ....If Mr. Quill cannot be allowed to undertake this operation, perhaps a substitute could be made available from the Free French Forces. I am most anxious to be allowed to volunteer for this operation. One MGB (motor gunboat) equipped with DF (direction-finding radio) apparatus, to carry a folbot (collaspable canoe) to within 2 miles of the coast of France. One folbot equipped with wireless transmitter. One officer of a Commando. Quill and Pinckney had been discussing the possibility of launcing the raid, as friendly next door neighbours normally would do over a cuppa', for a few weeks before the formal request was lodged by Pinckney. he relates how "relieved" he was that the errant FW190 had arrived, alleviating the need to undertake the potentially dangerous hijack attempt. One pilot who did ultimately successfully steal an FW190 just after escaping from a German PoW camp in 1945 and flying it to freedom was later to become a world famous test pilot. He became a close friend of fellow test pilot Chuck Yeager. His name was Robert "Bob" Hoover. Last edited by At ease; 17 Oct 18, 08:15. You are confusing best with availability. Whether the Merlin was best or not, American engines were usually used because they were available. I could have sworn he said 150 The video is gone now. I wanted to watch again? BTW, how do you embed a video on the new format here at ACG. The old method not working for me. It was lucky for Quill and Pinkney that Faber landed at RAF Pembrey because the odds against their planned hijacking of an FW-190 were what bookies would call "mush"
Book added to my wish list. Nick, As for piston engines, I believe a new thread should be started dedicated to them. See my suggestion upthread. Below is a link to a thread from 2013 that has a quotation from Eric Brown. The quote was used in a research paper by a USAF officer using such material in submission for a higher degree. It does state "125 mph", which is exactly what was said in the video that has disappeared. 1. The engines were crap. It was lucky if a pilot could get two sorties on them before one or both needed changing. The engines made it a nearly self-defeating aircraft. 2. The 30mm slug thrower armament. The Mk 108 might have been a devastating weapon except you couldn't hit anything most of the time with it due to the low velocity. A battery of 20mm would have been better. As it was combining a weapon with a very short accurate range and a very fast airplane resulted in the pilot having to have alot of skill and nerve to be successful. I will try my best to explain this, with which I had some difficulty mastering after the changeover - but it is simple. In the blue oval(photoshopped), place your mouse over the far right icon in the oval which says "Insert Video"
To get mine to be at the bottom, I had to drag and drop the link from the top to the bottom. It can be a bit daunting at first but, like me, you will get the hang of it quickly. Of course, it would have been better for "STAFF" to provide a detailed tutorial, instead of everyone having to feel their own way. It would have saved valuable time and a lot of frustration if this had been done. Such tutorials were a feature of the old forum, which sadly has not been carried forward to this new "improved" edition. Only an extremely brief, cursory, explanation was given post upgrade. Priorities seem to be out of order these days. Last edited by At ease; 18 Oct 18, 08:14. I think this is a very interesting question and I've read all the way through. Some very fine posts; among the best I've ever seen in any discussion at ACG. I can see a very different answer for each. Without such a division, I think it's just that much harder - perhaps downright impossible - to arrive at a consensus. The deH Mosquito, NA P51D Mustang and Avro Lincoln(Lancaster replacement) were all licence built in Australia. Obviously, they all used Merlins.....mainly Packard built and imported from the USA. Later ones, especially the Lincoln, used Australian manufactured Merlins made in the Sydney suburb of Lidcombe. The Merlin was used in aircraft flown and serviced by Royal Australian Air Force (RAAF) personnel in Europe, Africa and the Mediterranean as part of RAF Bomber, Fighter, Training and Coastal Commands. It was also used in Australia to power aircraft including the Fairy Battle trainer and Supermarine Spitfire fighter. Locally-made and imported RAAF Mosquito and Mustangs used Packard-built Merlins imported from the USA. The Commonwealth Aircraft Corporation assembled the Merlin 102 at Lidcombe, NSW using some imported parts for the post-war GAF Lincoln bomber built at the Government Aircraft Factory, Port Melbourne. The Merlin was also modified for use in tanks such as the Centurion where it was named the Meteor. Overhauled 60-Series Merlins from ex-RAAF Mk VIII Spitfires were fitted to some of the new Mustangs built by the Commonwealth Aircraft Corporation in Port Melbourne after the war. T HE power requirements of the Commonwealth Aircraft Corporation airframe division have largely dictated the choice of the units to be produced in the two Commonwealth engine factories. The background of the main factory at Fishermen's Bend, near Melbourne, and of the annexe at Lidcombe, Sydney, was referred to earlier. The Lidcombe factory is largely equipped with machines supplied under the wartime American Lease-Lend agreement. To this has been added some machinery to suit Merlin production, and some fixtures became available from the Rolls-Royce factory at Crewe. The majority of castings for the Merlins came from C.A.C. 's own foundries, and only the Merlin crankshaft forgings were imported —from Glasgow. Previously Pratt and Whitney radials had also been about 95 per cent Australian produced; carburettors and bearings were the only bought-out parts at the end of the war. Last edited by At ease; 18 Oct 18, 08:54. That's rather disingenuous, given that the RAAF didn't start getting Mustangs until November 1944 and that was in Italy. CAC built Mustangs started delivery in July of 1945 and only 17 were delivered before the war ended. Australian use of the Lincoln is pretty much all post war. And, yes, given that RR jacked the royalties they wanted for each Packard engine through the rafters once the war ended, I can see CAC having to manufacture their own Merlins postwar. On the whole, the Merlin was a rarity in the Pacific and SWPA during the war. That's rather disingenuous, given that the RAAF didn't start getting Mustangs until November 1944 and that was in Italy. CAC built Mustangs started delivery in July of 1945 and only 17 were delivered before the war ended. Australian use of the Lincoln is pretty much all post war. In 1942, the Australian de Havilland factory at Bankstown commenced production of a fighter-bomber Mosquito, the DHA 98 FB Mk 40. Initial delays were caused by the unavailability of Canadian birchwood, and Australian coachwood had to be substituted. And, yes, given that RR jacked the royalties they wanted for each Packard engine through the rafters once the war ended, I can see CAC having to manufacture their own Merlins postwar. Regardless, open source information about the royalty payments actually paid/not paid is quite fragmentary. Last edited by At ease; 18 Oct 18, 09:48. All times are GMT-5. This page was generated at 06:53.